Washington, June 19 (IANS) National Geographic Channel plans to release Academy Award winner Davis Guggenheim’s upcoming feature documentary “He Named Me Malala” on Nobel Peace Prize winner Pakistani activist Malala Yousafzai in 171 countries and 45 languages. National Geographic Channel has joined forces with Fox Searchlight Pictures for the global theatrical release of the film on Malala, who was targeted by the Taliban and severely wounded by a gunshot when returning home on her school bus in Pakistan’s Swat Valley. With this partnership, National Geographic Channel and National Geographic Society will join the global launch campaign to support the theatrical release in October, Fox Searchlight Pictures said in a media release. Additionally, in 2016 the film will air on the National Geographic Channels in 171 countries and 45 languages. “This is a film that you leave not only feeling incredibly inspired, but truly wanting to make a difference,” said Courteney Monroe, CEO, National Geographic Channels. “We are excited to be partnering with the National Geographic Channels to help bring Davis’ passion and commitment in the telling of Malala’s moving story to audiences worldwide across their extensive media platforms,” said Fox Searchlight Pictures Presidents Nancy Utley and Steve Gilula. 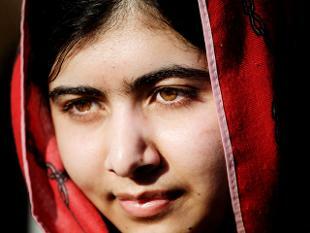 The documentary offers a look into Malala’s life both before and following the attack. Fifteen at the time of the incident, she was singled out, along with her father, for advocating for girls’ education. The shooting sparked an outcry from supporters around the world. Malala miraculously survived and is now a leading campaigner for girls’ education globally as co-founder of the Malala Fund. Acclaimed documentary filmmaker Davis Guggenheim (“An Inconvenient Truth,” “Waiting for Superman”) examines how Malala, her father Zia and her family are committed to fighting for education for all girls worldwide. The launch of the film will also coincide with an international advocacy and fundraising campaign in partnership with the Malala Fund, Malala’s nonprofit organization working to empower adolescent girls globally through a quality secondary education. “He Named Me Malala” is being released by Fox Searchlight Pictures, in association with Image Nation Abu Dhabi and Participant Media, with National Geographic Channel.